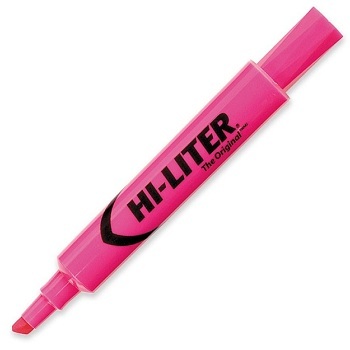 Did you know Avery was the pioneer of the highlighter, launching the world's very first highlighter in 1963! 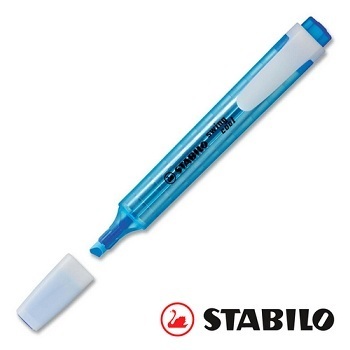 Specially designed moulded chisel tip for highlighting and underlining. 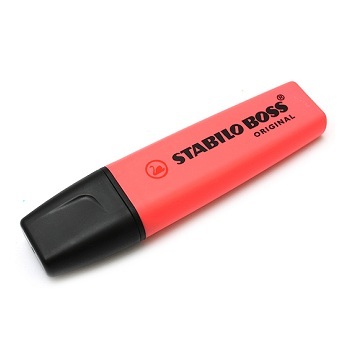 Brilliant fluorescent, non-toxic ink colours stand out against white paper. 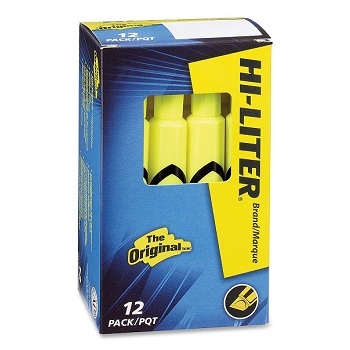 Box of 12 highlighters. Barrel denotes ink colour. Fantastic Value... 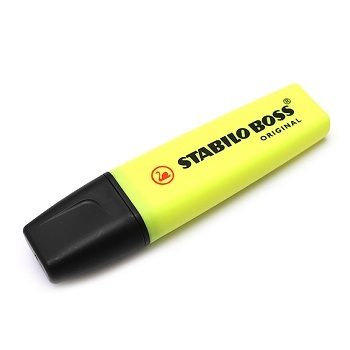 Economically priced DELI® desk style highlighters. 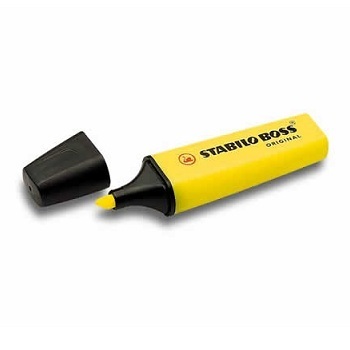 Ergonomic designed barrel with handy pocket clip and moulded chisel tip. Brilliant fluorescent colours. High quality, long lasting ink. Safe for all laser fax, copier and printed paper. Box of 10 Highlighters. Choice of colours available. 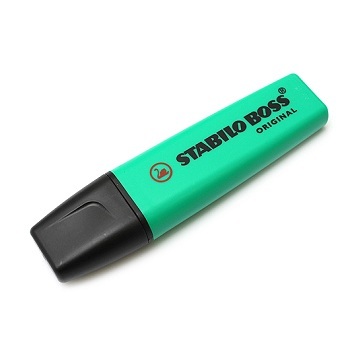 The STABILO BOSS highlighter has been on the market since 1971 and still the unchallenged market leader. Environmentally friendly - made of 100% recyclable polypropylene. Fluorescent water-based inks, guarantees great visibility on any type of paper. Box of 10 Highlighters. Barrel denotes ink colour. A Classic, A Record Holder, A Market Leader - the best highlighter in convenient assorted wallets. 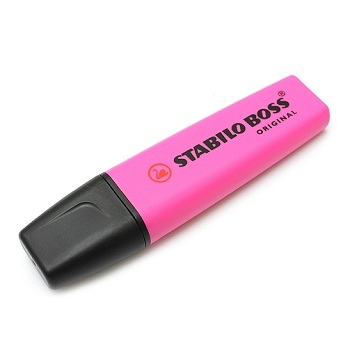 Available in Assorted wallets of 4, 6 and 8 highlighters. The STABILO swing cool is for anyone who’s young at heart and constantly on the go. The swing cool is a flat pocket-sized model with a practical clip and cool frosted barrel colours. Chisel pointed nib allows you to highlight lines 1mm to 4mm wide. 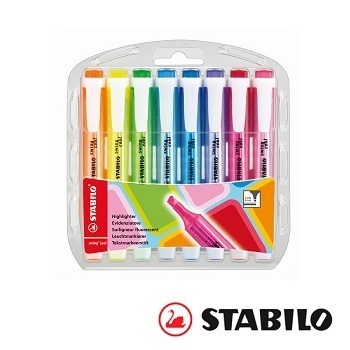 The STABILO swing cool in convenient assorted wallets. Available in assorted wallets of 4, 6 and 8 colours. 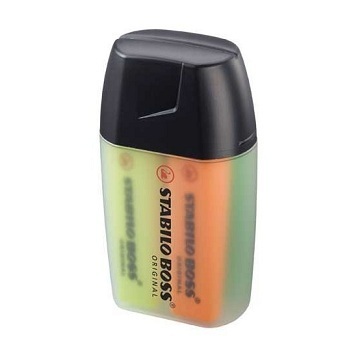 Classic highlighters in a stylish 'Big Boss' shaped box set. 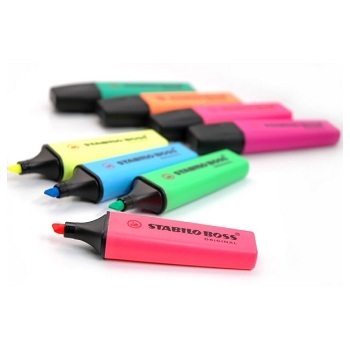 Each set contains 4 highlighters in Yellow, Blue, Green and Orange.